Our Sunderland Locksmith team are on hand 24 hours a day. Whether you’re locked out and require emergency help or are looking to upgrade your locks, our team are ready for all enquiries. We strongly believe in saving you money so our prices are competitive and stay that way! With nearly 20 years of experience we can tend to any lock type and specialise in uPVC. 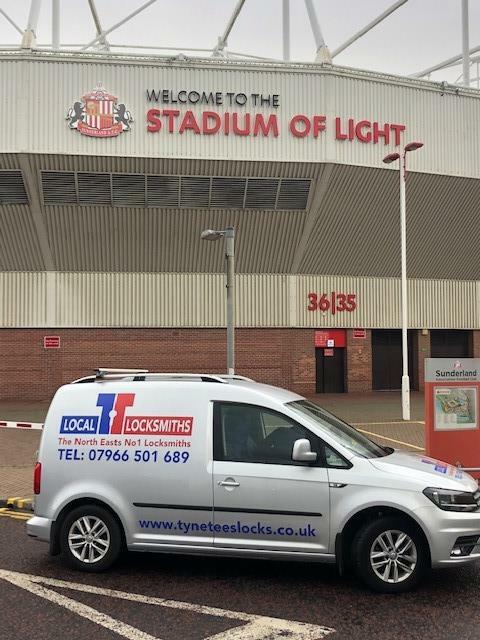 The city of Sunderland has many things to offer – and a trustworthy, reliable and friendly locksmith is one of them! 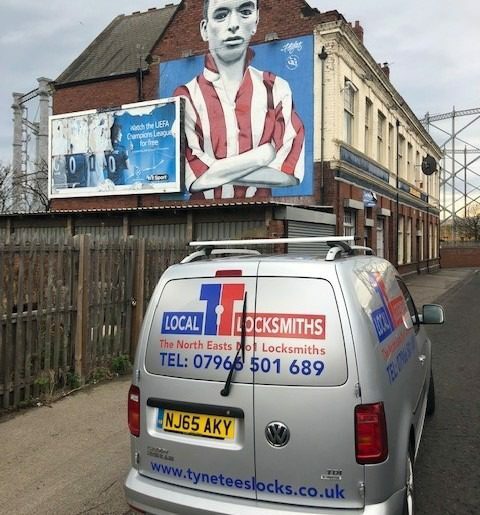 Tyne Tees Locks has been servicing the residents of Sunderland for over 20 years, meeting all of your locksmith needs. As a matter of fact, we’re 100% positive we can’t be beaten on price and quality – so contact us today to see how we can help. Someone you can rely on in your hour of need? The number one locksmith in Sunderland and throughout the Northeast? Look no further than Tyne Tees Locks. 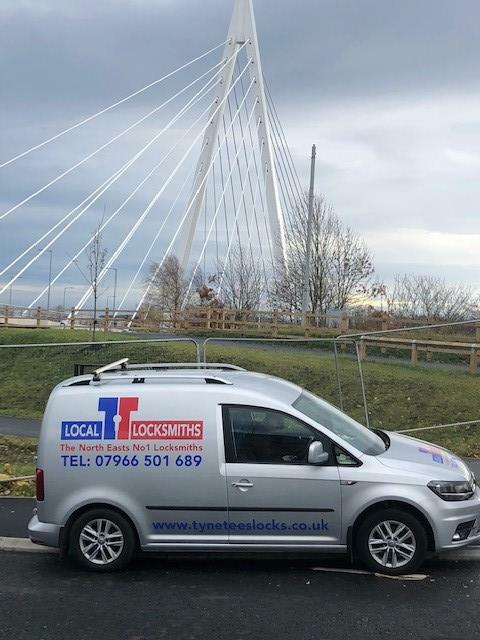 When it comes to finding a local, well established, family run business, who are true professionals in all sense of the word, look no further than Tyne Tees Locks for all your locksmithing needs. Call us today on 0191 438 6595 to find out more. Lock Repairs – keys stuck or snapped in locks? Locks no longer working or up to a high standard? Have your locks completely broke and no longer of any use? We can help! Support with UPVC windows and doors – our trained professionals can help with failed mechanisms to faulty cylinders, worn handles, misaligned frames, and more! Found on front doors, back doors, patio doors, and sliding doors – there isn’t a lock out there that our engineers can’t help with. Lock fitting and lock upgrades – from rim and mortise locks to euro profile cylinders – we stock and fit it all. What’s more, we make sure that all locks fitted and upgraded meet all insurance requirements and minimum British Standards. 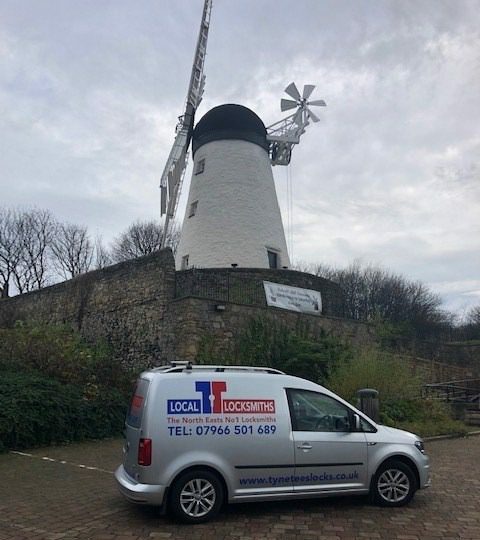 Commercial locksmithing – we work with many businesses throughout Sunderland, from installing new locks to repairing broken or faulty systems. We’re also there in emergencies to replace locks and to change locks after a break-in. We work with businesses on master key systems as well as different locking mechanisms and levels of security for different areas within their premises. Safes – on hand to crack the code, helping with the opening, moving, removing, disposal and installation, our team of engineers have experience in a wide range of makes and models when it comes to safes. Vehicle entry and key cutting – available 24/7, call us in an emergency, trust us, we’re here for you. At Tyne Tees Locks there is no job too big or too small that we can’t, and won’t, help you with. Call us on 0191 438 6595 to see how we can help you today! We’re incredibly proud to say that as a business we have been providing a high-quality service to all of our customers for over 25 years, with locksmith secrets being passed down from generation to generation. Secrets that have allowed us to build upon our experience, providing a service which is second to none – (which has also allowed us to become the number one locksmith in and throughout Sunderland). We’ve grown our business over the years, building strong relationships with both our commercial and domestic customers. We offer quick response rates, an unrivalled level of customer service and trained specialists who can help with any lock cost-effectively and securely. We also think we’re unique. Because when you call Tyne Tees Locks, you’ll speak directly to us. We don’t do call centres, we don’t do automated responses, and we don’t do call waiting. We’re human, and we aim to keep it that way! We even guarantee this when you call our emergency contact number! Our mission is to put our customer’s minds at rest. Looking for a locksmith in Sunderland? What is your specific need and can the locksmith in question meet this request? Can they reach you within a reasonable period of time? Do they have the tools and the experience to fix the problem there and then? Can they provide you with an estimate for the work, rather than a guess?! Do they have trade references or feedback you can check up on? Finding a locksmith to help you is key but finding one you can trust and rely on 100% is vital. 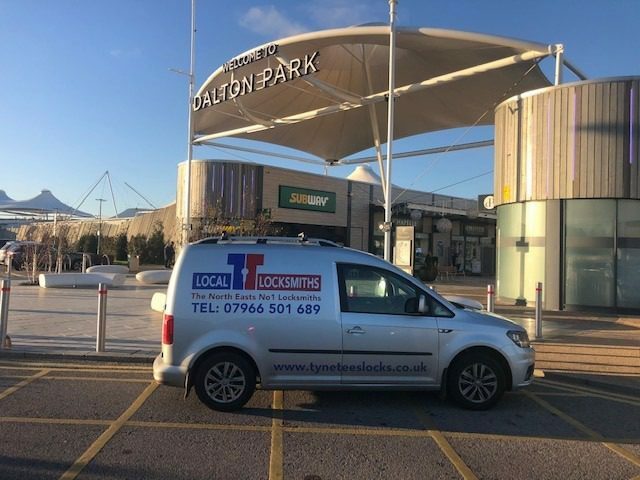 Tyne Tees Locks are always on hand to answer your questions, putting your mind at ease and filling you with confidence that you can trust us. Trained and qualified, our engineers also carry CRB checks and certificates too. And we also have independent 5-star ratings from our customers. We aim to provide a range of cost-effective solutions to all of our customers. Working with wooden or UPVC doors and windows, deadbolts and the multitude of locking systems available now, auto locks, master key systems, as well as safes and working with you on the security of your commercial premises – at Tyne Tees Locks we can offer it all. We want to keep you and your belongings safe at all times. So, whether you find yourself locked out of your car or home, or you have a broken garage lock, or a faulty or worn handle on a UPVC door which needs replacing – call the locksmith specialists in Sunderland. If that’s not enough, we also offer peace of mind that in an emergency we’ll be with you within 30 minutes! We’ll never leave you hanging around, and we’ll always aim to make you feel as safe as possible. Confident pricing structures – there are no hidden surprises with our work, and we will be upfront about all material and labour costs. We’re available 24/7 for emergencies – always on call, always there for you. We accept all payment methods – offering you nothing but convenience. When it comes to locks, we know our stuff, that’s why we’re able to offer you the best advice, the securest solutions, and the most cost-effective fix to any locking problem. Oh, and all of our work is fully guaranteed, so you really have nothing to lose! Call us now on 0191 438 6595 to see how we can help you today. At Tyne Tees Locks we have engineers based in Sunderland and across the whole of the Northeast, making us accessible and local! Sunderland; Newcastle; Goforth, Ponteland; Cramlington; Ashington; Durham; South Tyneside; Gateshead; Washington; North Tyneside; Wallsend; Morpeth; Alnwick; Prudhoe; Hexham; Peterlee; Blyth; Consett; Darlington. 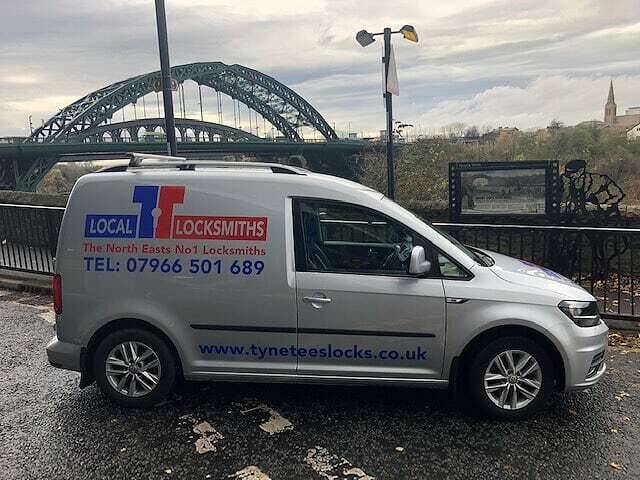 If you want a professional locksmith in Sunderland, one who can help you fix broken or faulty locks, fit new locks where needed and be on hand instantly after a break-in – then Tyne Tees Locks are on hand to help. Don’t put your belongings and security at risk by choosing second best. Contact our team today and see just what we can offer you. Thank you to Tyne Tees Locks for an excellent service. Shaun arrived quickly after I called and was able to get me back into my home after I stupidly got myself locked out. He was very friendly and very polite and done the work at a fair price!